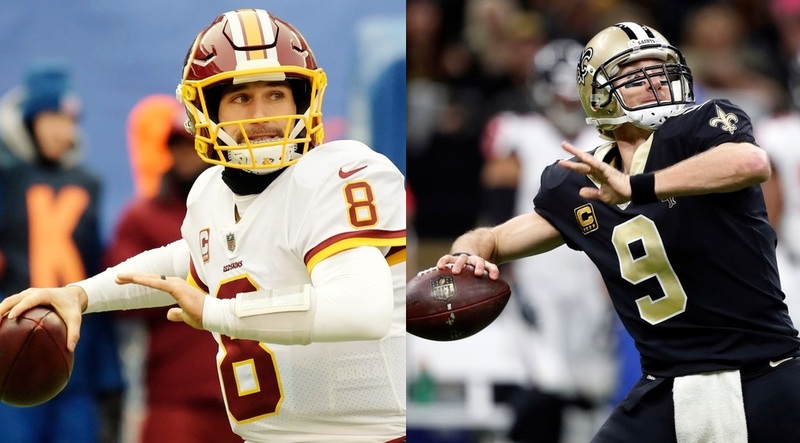 Vikings fans will be focused on Cousins, but they’ll also be looking sideways to see how the team's former quarterbacks and Drew Brees are faring in the season to come. Before we get too far removed from the whirlwind of quarterback news that emerged Tuesday — reports that indicate Kirk Cousins should soon be a Viking, while multiple former Vikings QBs move on to new teams — we should take time to note one interesting report about Drew Brees. It’s unclear which team or teams were referenced, but if you also recall Monday reports saying the Vikings reached out to Brees, it at least makes you wonder. In the end, it doesn’t really matter because it didn’t happen. Brees stayed in New Orleans and the Vikings appear poised to get Cousins. But it still is interesting to think about because the free agent QBs who were available and who are slated to sign as soon as Wednesday will forever be intertwined. Vikings fans will be focused on Cousins, to be sure, but they’ll also be looking sideways to see how — assuming all reports are true — Case Keenum fares in Denver, what Sam Bradford does in Arizona, how Teddy Bridgewater makes out with the Jets and what Brees continues to mean to the Saints. Those Vikings fans who became enamored for a day with the idea that Brees could leave New Orleans for the #BoldNorth might particularly view Cousins as some sort of consolation prize, even if he was the primary target all along. Those folks might take some comfort in this: There are reasons to believe Cousins is the next Brees. Their stories into their late 20s are very similar, at least. Brees, a former Big Ten QB at Purdue, was drafted by the Chargers in the second round. He spent five productive but uneven seasons in San Diego, compiling a 30-28 record as a starter with 80 touchdowns, 53 interceptions, one playoff appearance (a one-and-done in which he played well in a close loss) and one Pro Bowl appearance. There were questions about Brees — including an injury concern — and the Chargers allowed him to reach free agency heading into the 2006 season. He settled on the Saints after drawing strong interest from other suitors, including Miami. In New Orleans, Brees became a franchise QB and future Hall of Famer, leading the Saints to six playoff appearances and a Super Bowl in 2009. Brees has been held up as the rare example of a coveted QB in his prime — he was 27 when he signed with the Saints — reaching free agency. It has been said, in fact, that Cousins (age 29) is the first QB to really fit that description since Brees a dozen years ago. And the similarities don’t end there. Cousins is also a former Big Ten quarterback. He spent six productive but uneven seasons in Washington, compiling a 26-30-1 record as a starter with 99 touchdowns, 55 interceptions, one playoff start (a one-and-done in which he played well in a loss) and one Pro Bowl appearance. Washington and Cousins couldn’t get together on a long-term deal. He played two seasons under a franchise tag before Washington traded for Alex Smith and let him reach free agency. He appears to have settled on the Vikings after having numerous suitors. Now, I’m not here to suggest that Cousins will go on to have the sort of career with the Vikings that Brees has had with the Saints. Projecting a Hall of Fame career is not a good idea. But it is instructive to remember that Brees was once in a very similar place in his career. And it’s not crazy to think Cousins could become a long-term franchise quarterback for one team even if another didn’t view him that way. Will Cousins give Vikings QB stability they haven't had since Tarkenton?